The rapid release path for Firefox version updates did not run all that smoothly for Version 7. After updating to Version 7, there were instances in which users discovered one or more of their add-ons were hidden. As a result, the release of the new updates to Firefox Version 7 was paused in order to minimize the impact. An update fixing the issue has been released. To get the update now, select Help, About Firefox, Check for Updates. Also available now is the list of vulnerabilities that were fixed in Version 7. In keeping with the rapid release schedule, Mozilla released Firefox 7 today. As expected when a version update is released, you may find that many of your favorite add-ons are not compatible with the new release. Use Add-on Compatibility Reporter to test and report on your favorite add-ons in version 7. The Release Notes listed the following new features in version 7, At this point the indicated security updates are not listed in the Security Advisories. There is, however, a very lengthy list of Bug Fixes for version 7. The upgrade to Firefox 7 will be offered through the browser update mechanism. However, as the upgrade includes critical security updates, it is recommended that the update be applied as soon as possible. To get the update now, select Help, About Firefox, Check for Updates. As illustrated in this topic on the Microsoft Answers forum, the issue of fake tech support telephone calls has been a problem for over two years. The scams appeared to have originated in the U.K., spread to Australia, followed by Canada and the United States. Although reports in various forum topics have pointed fingers at other vendors, in the instant case, the finger was pointing at "Comantra" who was a Microsoft Gold Certified Partner. Comantra, like other vendors, was said to have cold-called people, implying that they represent Microsoft. After convincing the call recipients that the errors seen in Event Viewer on Windows are dangerous, the technicians would attempt to convince the people to allow the technicians to have remote access to their computer. Repairs, of course, required a credit card charge. It is important to understand that being a Microsoft Partner, in any shape, whether Certified or Gold Certified, does not mean that the company represents Microsoft. Rather, it merely means that the company has met the requisite requirements, has paid the requisite fee and has earned the appropriate Partner Points for the Partner level. The requirements for both Microsoft Gold Certified and Microsoft Certified Partners are fully described at the eHow.com references below. In addition to the above, Microsoft Gold Certified Partners must employ a minimum number of Microsoft certified professionals, meet the certification and sales requirements and submit competency-specific customer referrals. If you receive a call from someone claiming to be representing Microsoft or Microsoft tech support, just hang up! Microsoft does not make unsolicited calls. Change the passwords or PINs on your computer and your online accounts. Routinely review your bank and credit card statements monthly for unexplained charges or inquiries that were not initiated by you. People in Australia, Canada, U.K. and U.S. appear to have been hardest hit by telephone tech support scams. The links below have additional information and resources. Adobe Flash Player was updated to address critical security issues as well as what is described as an important universal cross-site scripting issue that is reportedly being exploited in the wild in targeted attacks. The exploit could cause a crash and potentially allow an attacker to take control of the affected system. The newest version for Windows, Macintosh, Linux and Solaris is 10.3.183.10 and the update for Android is 10.3.186.7. Adobe Flash Player for Android 10.3.186.7 by downloading it from the Android Marketplace by browsing to it on a mobile phone. Adobe released a Security Bulletin (APSB11-24) which contains the quarterly security updates for Adobe Reader and Acrobat. The updates address critical security issues in the products. Adobe recommends that users apply the updates for their product installations. Alternatively, you could switch to an alternate PDF reader. There are a number of open source readers available from http://pdfreaders.org/. I have been using Sumatra PDF for around three years. Nitro Reader is also a viable substitute. Microsoft released five (5) bulletins addressing vulnerabilities in Microsoft Windows and Office All five bulletins are rated Important. Although the Executive Summaries indicate that the updates "may" require a restart, regardless of the recommendation, it is always best to restart your computer after applying updates. 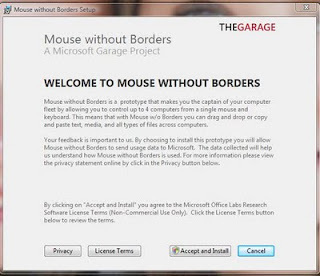 Mouse without Borders is a program created in The Garage at Microsoft by Truong Do, a developer for Microsoft Dynamics. 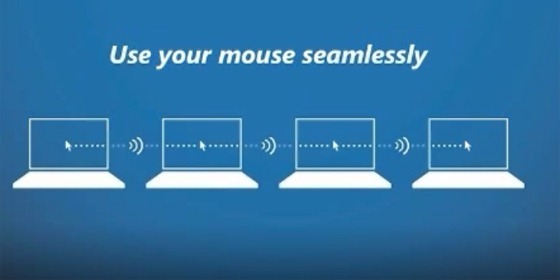 The software allows you to use one keyboard and mouse across your PC's as if they were one desktop. You can control up to four computers with a single mouse and keyboard with Mouse without Borders. 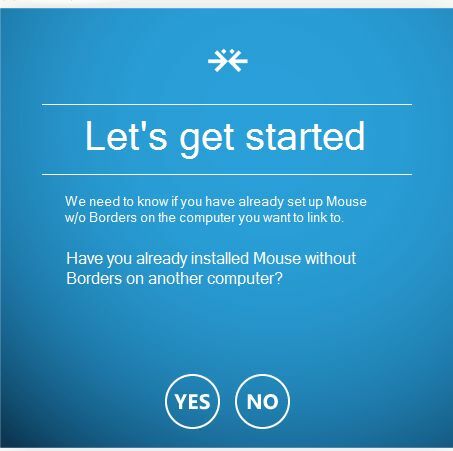 Now follow the same installation instructions on the second PC, but this time click Yes to acknowledge installation on another computer and fill in the Security Code information from the first computer. The two computers will be linked! 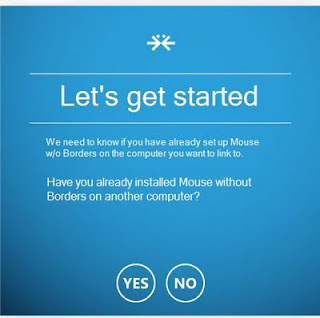 This update is to add information should you wish to uninstall Mouse Without Borders. 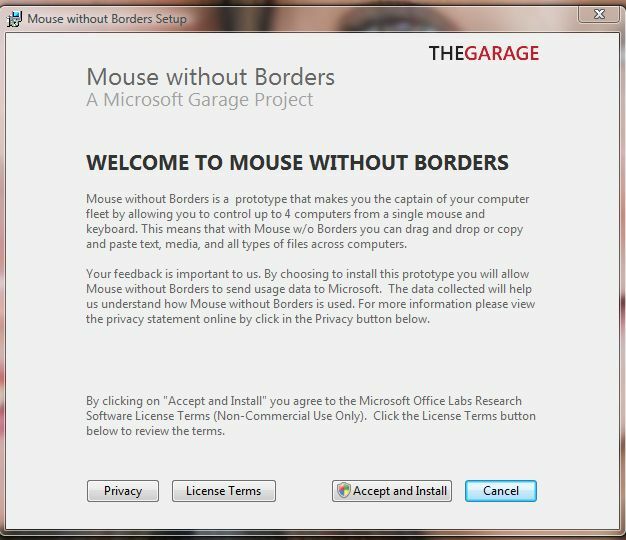 You can uninstall Mouse Without Borders as you would any other program through Control Panel. However, if you cannot locate it, that is because you are looking in the wrong place! Scroll further down further and you will find it under Windows Garage. I recommend exiting the program prior to uninstalling. There are occasions when a program will not completely uninstall. Other times, there are issues preventing a new program to be installed. A recently released Microsoft Fix it solution is available to assist in diagnosing and fixing program installing and uninstalling problems automatically. Removes bad registry key on 64 bit operating systems. Windows registry keys that control the upgrade (patching) data that become corrupted. Resolves problems that prevent new programs from being installed. Resolves problems that prevent programs from being completely uninstalled and blocking new installations and updates. Use this troubleshooter for an uninstall only if the program fails to uninstall using the windows add/remove programs feature. Critical security updates were issued by Adobe earlier this week for Adobe Flash Player, Shockwave Player, Photoshop and more. Details are available in the Released Updates linked below. On Tuesday, September 13, 2011, Adobe is planning to release updates for Adobe Reader X (10.1) and Adobe Acrobat X (10.1) and earlier versions for Windows and Macintosh to resolve critical security issues. Adobe additionally announced that they are in the process of removing the DigiNotar Qualified CA certificate from the Adobe Approved Trust List, indicating a further update is forthcoming. On Tuesday, September 14, 2011, Microsoft is planning to release five (5) Security Bulletins, addressing 15 vulnerabilities. The bulletins are rated Important and address vulnerabilities in Microsoft Windows and Office. The bulletins address Elevation of Privilege and Remote Code Execution, with at least one requiring a restart. Whether required or not, it is advised to restart your computer after installing updates. The update to Firefox 6.0.2 is being offered through the browser update mechanism. To get the update now, select Help, About Firefox, Check for Updates. Copied below are the known issues from Microsoft KB Article 2607712, Microsoft Security Advisory: Fraudulent digital certificates could allow spoofing for this update. This update will become available to the Netherlands on Windows Update and on all Automatic Update channels at a later date. Customers who want to manually install this update should click the appropriate platform download in the "Download information" section. On the next page, users will be able to select the language to install and can continue with the download and the installation.